It’s Labor Day Weekend! Well, it really depends if you decided to take a break the weekend prior (which is this weekend) or you plan to extend the holiday all the way to the 6th of May. Even though Laboracay isn’t happening this year, here’s one way you can enjoy the fruits of your labor. After running a successful sale season during the holidays, Playground Premium Outlet is running another massive sale next weekend. 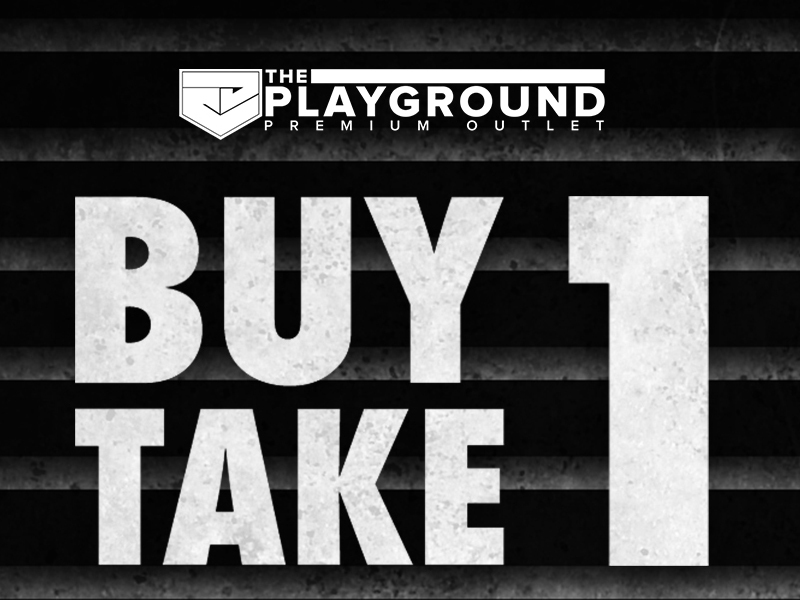 From May 3-6, Playground is offering a Buy 1 Take 1 deal across all footwear. Choose from any of the following brands: Nike, adidas, Vans, Converse, New Balance, Under Armour, Asics, Asics Tiger, Clear Weather and Diadora. 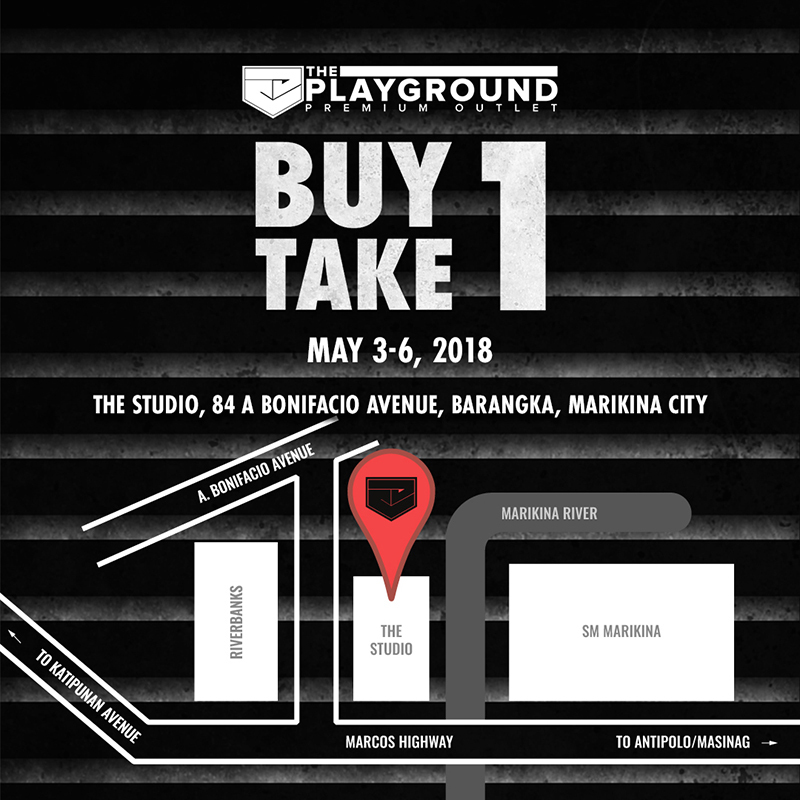 The sale won’t take place at their regular store but at the Studio, located at 84 A Bonifacio Avenue, Marikina City (please see the map below). We know the sale’s about a week away, but we want to make sure you save some of your hard earned salary for this amazing sale. Stay tuned for more information and what you might find during the sale.